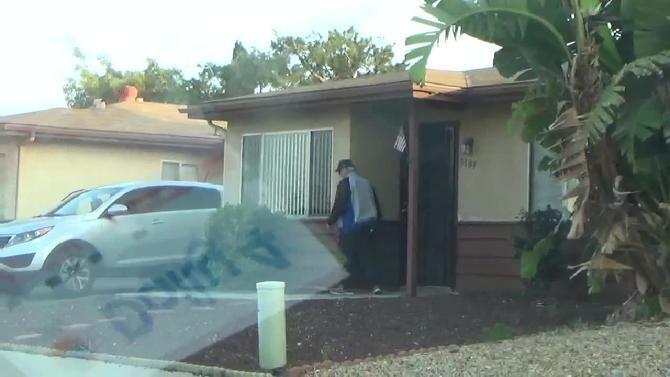 Part of the U.S. Government's Program of UNREMITTING HARASSMENT involves getting Neighbors and People in the Neighborhood to Gang Stalk the people they target when they leave or enter their home and to have the Neighborhood Gang Stalkers use BEEPING and a variety of other noises to harass. 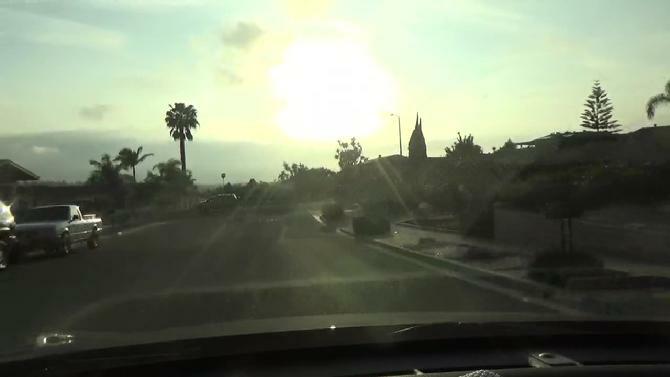 Here I am going down Buena Hills to exit my development in going out. Here I am about to turn left into my development in coming home from Target. I'm Gang Stalked by person or car as I leave my street. 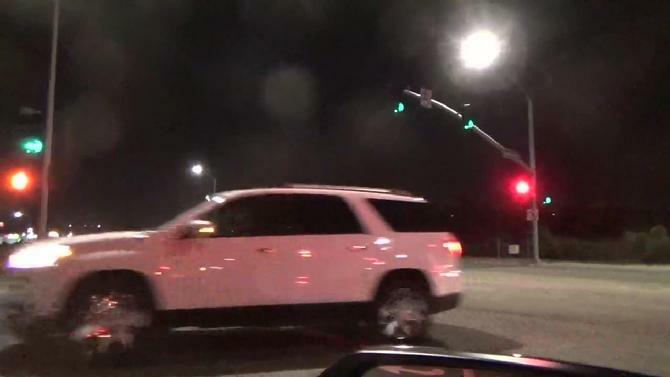 I'm Gang Stalked by person or car as I am about to get onto Buena Hills (at the intersection of Mira Pacific Dr./Buena Hills) to go down Buena Hills in leaving my development. I'm Gang Stalker when I reach the bottom of Buena Hills where I exit my development. Had to move my garbage cans into my driveway because the white truck of 3190 Coral Drive is parked in front of my house. April 26, 2018 - After I posted a couple of snapshots of someone from 3190 across the street as I returned home in the evening, they started parking their vehicles in front of my house. The Garbage man told me to put my garbage cans 5 feet from the mailbox so he wouldn't knock it over. The only way I can do that with the White Truck parked by 3190 in front of my house all the time is to put the garbage cans in front of my driveway. 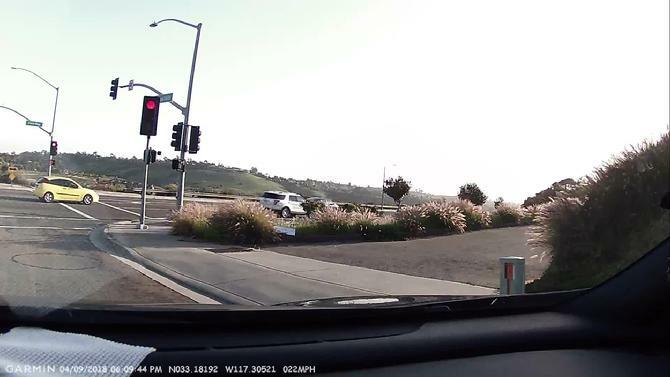 Government Gang Stalking Pattern: I go to get onto Buena Hills to exit my development in going out - a vehicle comes in front of me/or they will have a person at this corner. 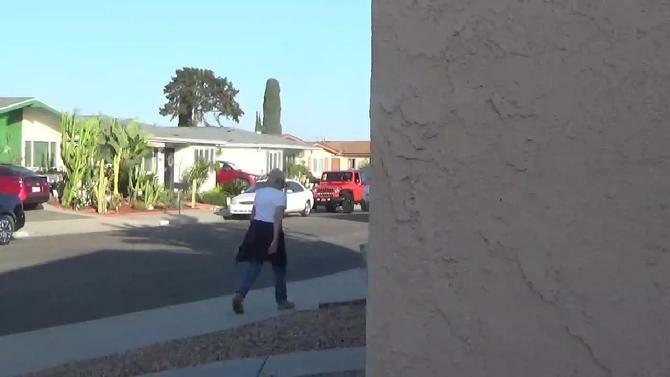 I exit my driveway to go out; a person next door leaves his house. 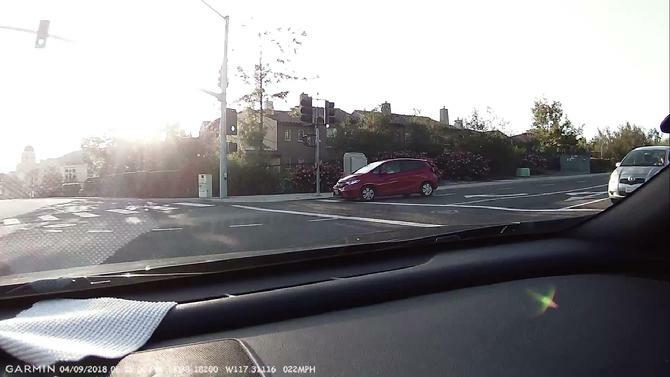 I approach the corner of Mira Pacific Dr./Buena Hills (their favorite place to Gang Stalk) and a car goes in front of me. I went to put some garbage in the garbage can at 5:58 AM after a very rough night with my brother. An SUV at the same time pulled into the driveway of the house across the street from me at 3184 Coral Drive. Does the Apartment Buidling Etc. Where You Live Permit MOBBING? Took my blind 17 year old mini-poodle into the backyard to pee. Noticed he did some poop. Went inside to get the things to clean it. Took the bag to the garbage can on the front side of the house and noticed an envelope at my front door. Went to get it as a light green Honda SUV passed by in front of me/GANG STALKED. The development of Costa Serena knows Government Gang Stalking goes on here and does nothing. 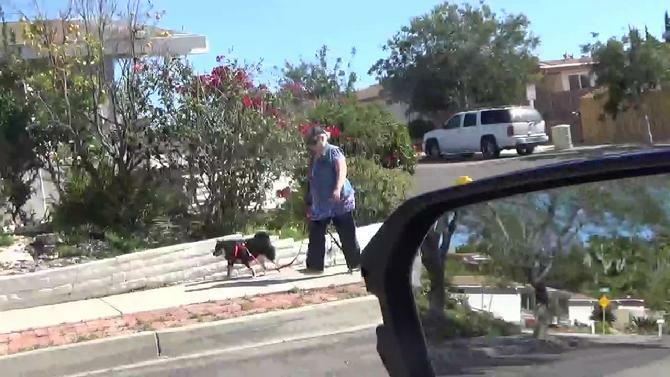 Once U.S. Government Gang Stalking is exposed to the country - just like the Me Too Movement with the exposure of widespread sexual abuse (America is a bullying culture) - developments like Costa Serena, home owner associations - where MOBBING - is widespread, mobile home parks, condominiums, town houses, apartment buildings etc. will have a decision to make. Either have a NO MOBBING/Gang Stalking Policy stated in its policy manuals or let MOBBING/GANG STALKING go on pretending it doesn't exist. Who would knowingly move into a development, with a homeowners' association, mobile home park, condominium, town house where MOBBING among tenants is permitted? As it is now in Costa Serena you hear from them if you have weeds on your property, but you can have hordes of people living here MOB a resident with no censure at all. 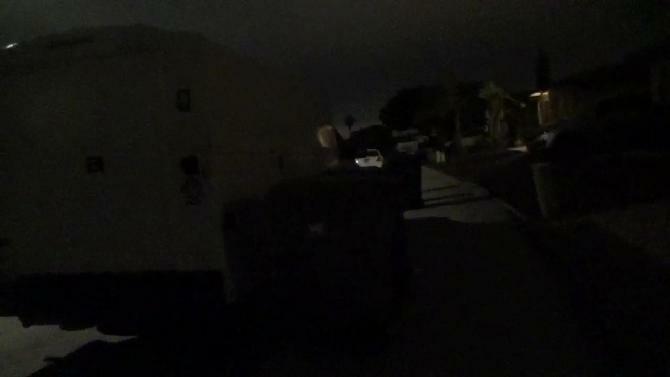 Government Gang Stalking Pattern: It's Almost Guaranteed That As I Go To Exit My Development - A Vehicle Comes Around the Corner. 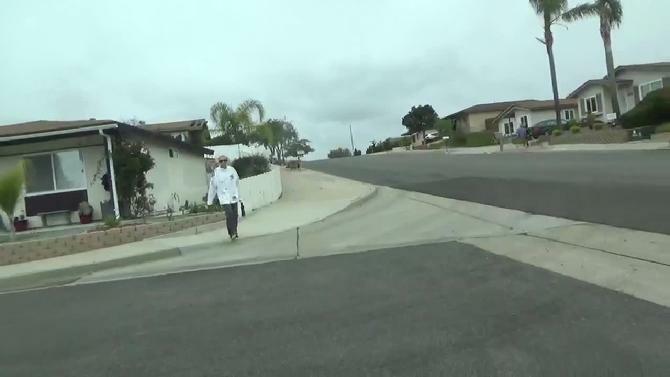 As I exit my driveway, someone passes by my house on our usually empty street. 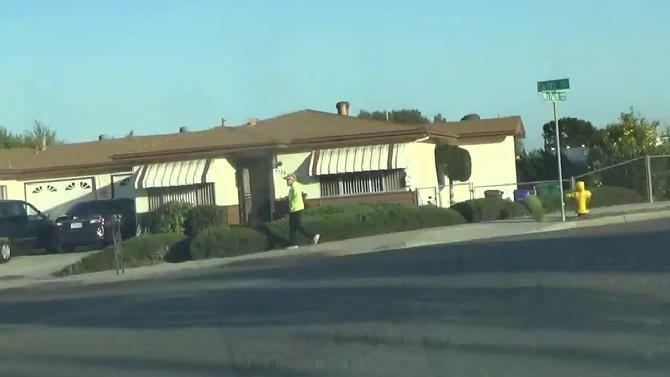 As I ride through my development in going out, people walk on the street in Gang Stalking colors - RED, Green or Yellow. 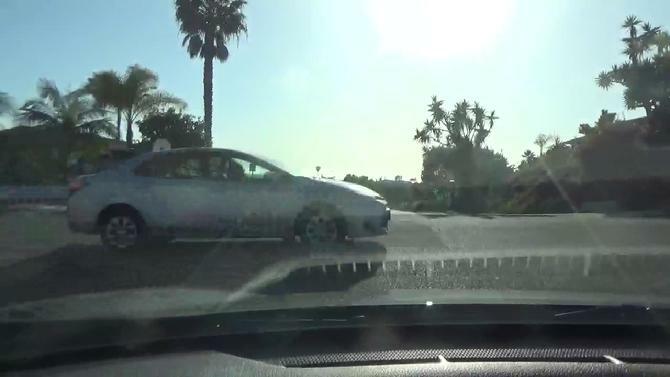 There are certain corners where I am almost daily Gang Stalked - for instance, this one at the intersection of Mira Pacific Drive/Buena Hills - as I go through my development in going out. 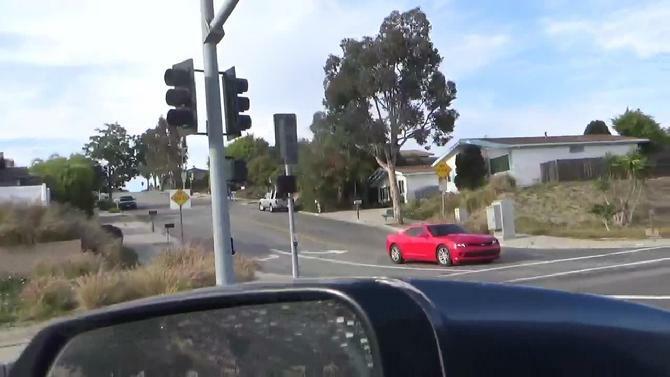 When I approach the bottom of Buena Hills where I exit my development, the U.S. Government Gang Stalking Pattern is to have a car come around the corner or to have a car in a Gang Stalking color - RED, Green or Yellow - pass in front of me. 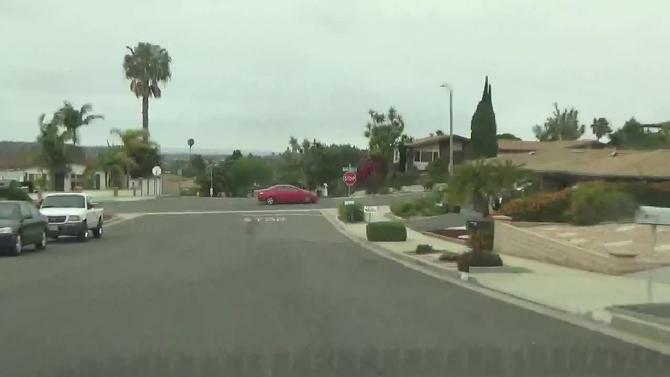 The first place I'm Gang Stalked once I leave my development is at the corner of Rancho del Oro/Vista Way. 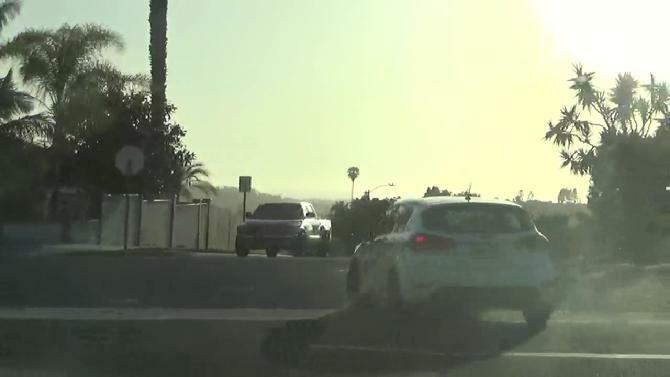 The most frequent Gang Stalking Pattern at this corner is to have a RED car first in line at this intersection or to have a First Responders/usually the Oceanside Police here. 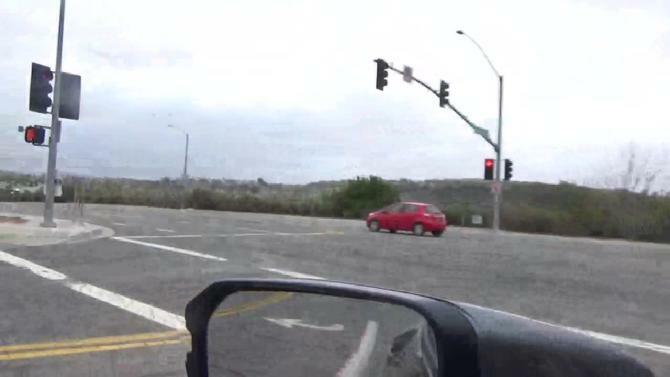 As I go to get onto Buena Hills to exit my development - one person and one car is there. 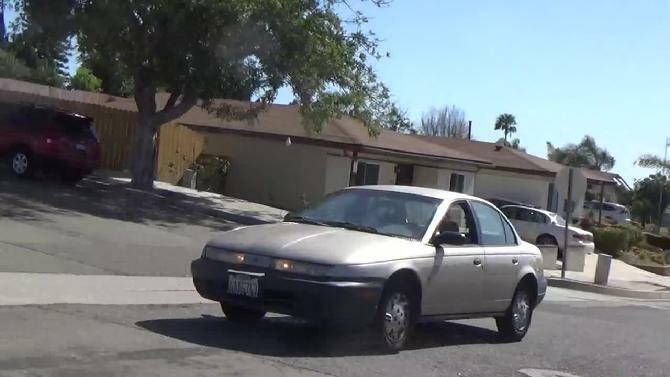 The Government Gang Stalking Pattern is always the same: Buena Hills is almost empty, but as I go to get on it to leave my development in going out a car comes in front of me. I would like to emphasize I never say anyone in any of my videos or snapshots is a U.S. Government Gang Stalkers. I am not a mind reader. I don't know people's intentions. I just show patterns I have seen every day since May 2006 when my Government Gang Stalking began to get an Investigation into this Outrageous Program of U.S. Government MOBBING/Gang Stalking.